Join SEGD Denver and our friends at Ink Lounge for a makers' evening of screen printing, snacks and creativity! 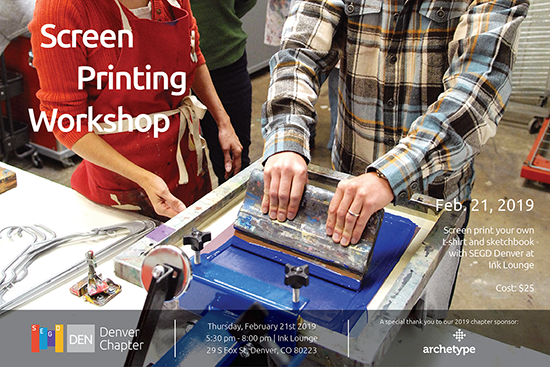 We will be screen printing t-shirts and making our own screen-printed sketchbooks with original artwork provided by SEGD Denver. This event is limited to 20 participants, so don't wait and get your tickets today!